VERY RARE 2 Bedroom + Den - 2 Bath End Unit Colonnade Model...1305 Square Feet under air! Light and bright with great view of the lake and wild life. HERITAGE COVE is the area's Premier 55+ TOTALLY GATED COMMUNITY with a large Clubhouse, resort style pool, exercise room, and loads of social activities... 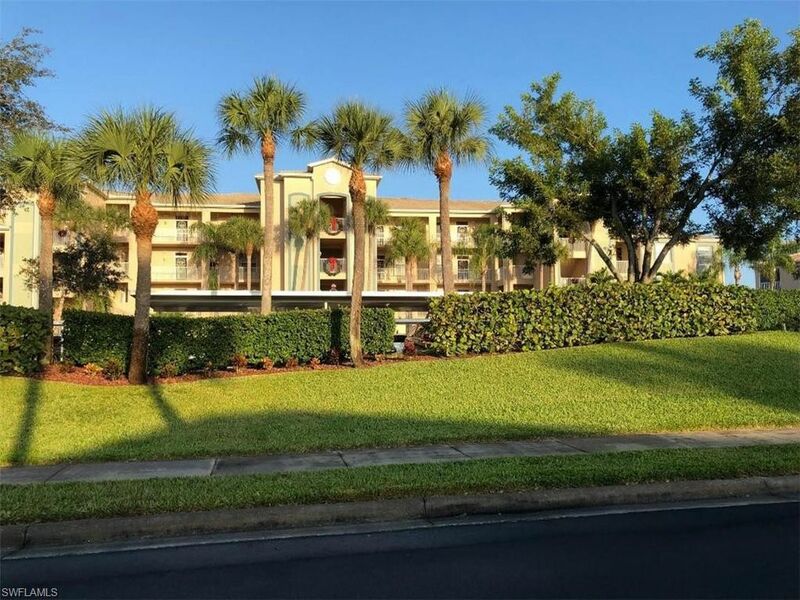 It is quiet, warm, and friendly, with 55 acres of lakes, walking paths, wild life everywhere, low fees, and conveniently located in South Fort Myers near everything... Airports, beaches, shopping, theaters, restaurants, entertainment venues...anything for just about everyone. It is PET FRIENDLY, and offers a wide array of activities and amenities...Tennis, Bocce Ball, Shuffleboard, Bingo, Dances, Pitch-Ins, and has an on-site property manager.. This 2nd floor unit with elevator is the closest condo to the Pool and Clubhouse....like having a pool in your back yard without the maintenance. This unit is very clean and is move in ready... turnkey furnished, vacant, and ready for quick closing. New AC in 2017, hurricane rated window film added in 2016, newer, frig, dishwasher, microwave, and covered parking... Call or text today for your private showing. Directions: From Cypress Lake, go south on McGregor to A&W Bulb...turn left and then left at first drive into Heritage Cove.Left lane , enter code, through gate turn right at stop sign...Building 1 is first drive on the left.